Recliners are hard to beat when it comes to lounging in front of the TV. But how about the fact that they are also an excellent sleeping spot? Well, I was skeptical at the beginning too. 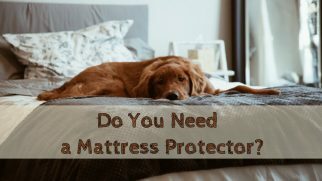 However, after researching this topic and testing some models, I can present my reviews of 5 best recliners for sleeping that can serve you no worse than a regular bed. Sounds like exactly what you’re looking for? Keep reading then! For Starters, Is Sleeping in a Recliner Bad for You? And our list of the top-rated recliner chairs for sleeping begins with this model form Coaster Home Furnishings. It is affordable, easy to assemble and provides a comfortable sleeping spot. First, this lift recliner for sleeping has electric controls, which means that you don’t have to pull any levers. Just push the button on the remote. 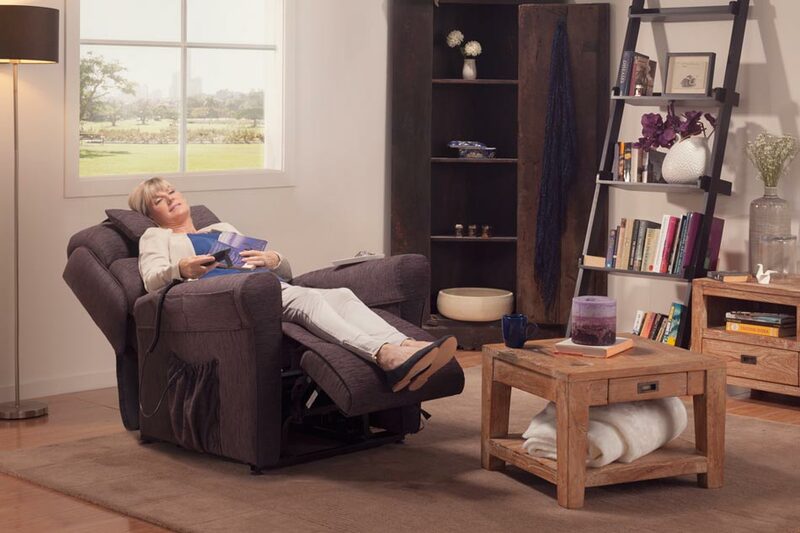 Along with the lifting function allowing you to get up from the chair easily, without putting a strain on your knees, this model has another motor responsible for reclining and raising the leg section. Keep in mind that you can’t recline the back and the footrest separately. Another feature of the model is its practicality. In case of sudden power shortage, it has a built-in backup battery. Also, the upholstery fabric doesn’t require much maintenance. Just vacuum it regularly, and you’re good to go. What I didn’t like about this chair is that it may make a clicking noise when moving into a reclined position. I’m not sure if it’s a malfunction indication or just a nuance of the construction, but it can be pretty annoying. What I absolutely love about this recliner is its plush cushions and soft fabric. This can be a significant advantage for people with aches and pains because the chair will contour your body just right. I recommend this reclining chair for people with any mobility level who are looking for a comfortable and affordable sleeping spot that is easy to assemble and care for. Another top-rated recliner for sleeping is this model by Simply Cool. The main features that caught my eye when I chose this chair for testing were a great price, pleasing design, and comfort properties. The model has a Wallsaver Mechanism, which means that instead of leaning back, the upper section slides to the front when you recline it. This chair doesn’t take up much space, which makes it an excellent choice for a small apartment. Another great option is the Layflat Premium Mechanism. It allows you to recline the chair to the almost completely flat position. What’s more, the Lifestyle is a power sleeping recliner, so you can control it just by pressing the button. Some users mention that this is a significant advantage for people with limited mobility. What really caught my eye when I first looked at this chair is a built-in USB-port for charging your gadgets without getting up. This makes a model really outstanding among competitors. What I didn’t like about this model is a tricky assembly process. You really need an assistant to assemble this chair, especially if you are a petite user. This might be an issue for elderly people who live alone. What I liked the most about this recliner is how flexible it is. See, you can choose between different angles and even go almost fully flat. So, whether you’re watching TV or sleeping, you will find a comfortable position anyway. I believe that this reclining chair will be a perfect choice for a big family, as it provides many reclining options, meaning it may satisfy each family member. This top-rated recliner chair for sleeping may look comfy and compact at first sight, but don’t let the design fool you. This model by Lane Home Furnishings is actually great for tall people, as it can easily withstand a person of 6 feet tall and even taller. But that’s not where its features end. First, it’s incredibly sturdy. The all-steel chair frame and coil support system in the seats are responsible for this. 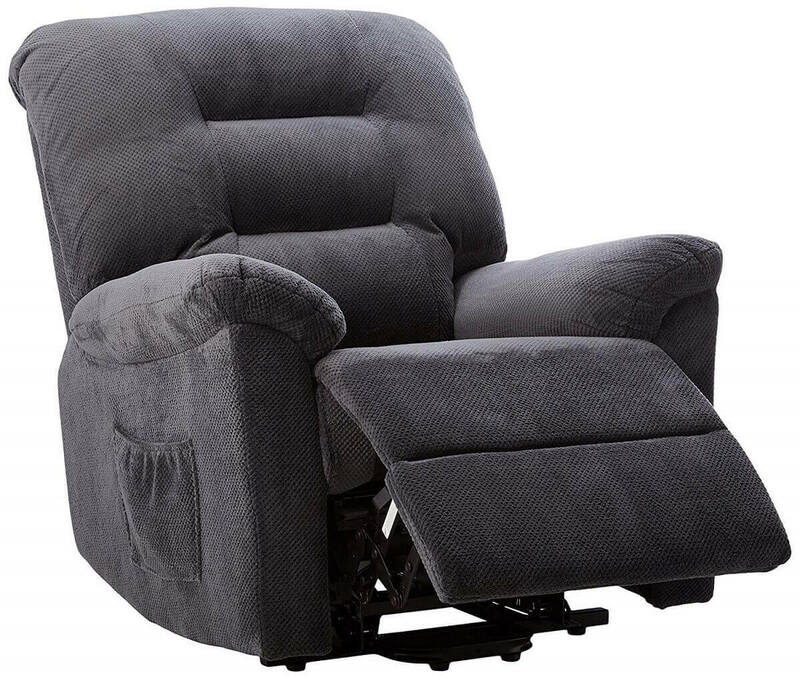 Thanks to the 7 Gauge reclining mechanism, this chair can provide proper support for up to 500 lbs weight. Another advantage of the coil support system is that it’s breathable so you won’t sleep hot even on summer nights. Despite being close to an average king-size bed when reclined, this recliner for tall sleepers requires almost no space when you put it back to a regular position. Top it with a 7-year warranty for a reclining mechanism, and you have the best sleeping chair in your life! Now, the main downside of this recliner is a very short lever for such a big chair. If you don’t have long hands, it might be tricky for you to reach it and recline the chair. What I liked a lot is plenty of sleeping space that this chair provides. Let’s be honest, most wall-saving models are tiny, so the opportunity for larger sleepers to comfortably stretch out is definitely a plus. If you’re a tall sleeper who has given up to find a good sleeping chair, this option will save you. It can accommodate individuals of larger height and weight much better than other chairs on the market. Sometimes all you want is to cuddle with your loved one while watching your favorite movie. 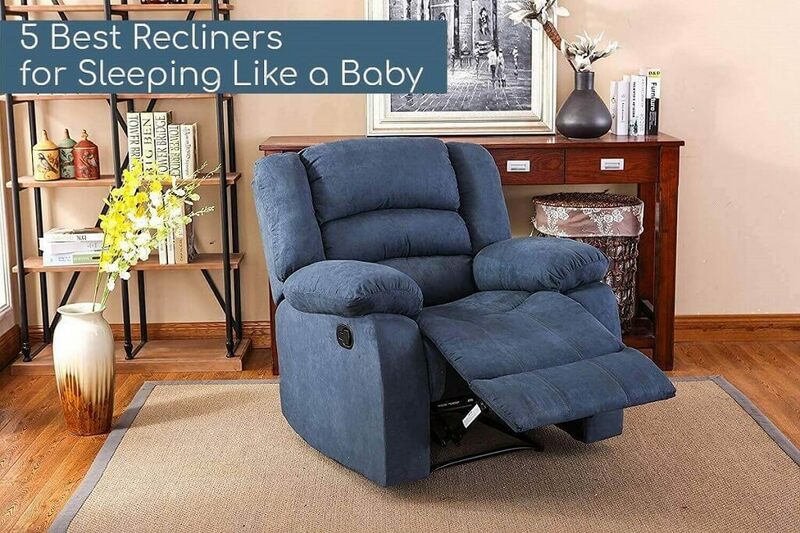 And that’s what this top-rated sleeping recliner by Ashley Furniture will allow you to do! Being extra wide — 59 inches, to be precise — it makes up an excellent loveseat for you and your significant other. Or your children. Or pets. Now, let’s briefly go through other features. First, this sleeping recliner for couples is extremely comfortable. 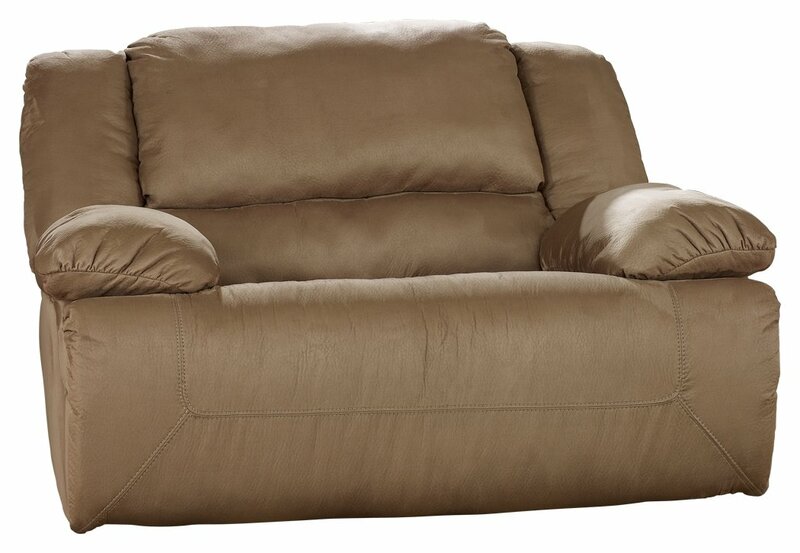 It has plush armrests and soft foam cushions that will relax your body. Other advantages are a corner-blocked frame and metal reinforced seats. This construction provides the right amount of support and sturdiness. And the contemporary design of this chair, along with the neutral warm brown color, will make a perfect fit for any interior. Now, let’s talk about reclining. This chair, surprisingly, is a wall-hugger, which means that it requires little to no space at the back to be fully reclined. All you need to do is pull the lever, and voila — now you now can travel to the land of Nod in a matter of seconds! The main downside of this recliner is that it forms a gap between the cushions in a reclined position. So, if you have children, you may find them stuffing their toys there. The best thing about this sleeping chair is that it’s a wall-hugger. Seriously, did you see a wall-hugger this wide? It almost feels like a bed and doesn’t require a lot of space behind it to recline. Overall, this recliner is very comfortable and cozy. If you’re looking for a perfect sleeping spot for a couple or a large sleeper — here you have it. I decided to end our list of the best recliners for sleeping with this model by NHI Express. The wall-hugging mechanism and the recliner frame are made from hardwood, which means that the chair is sturdy. And the contemporary design of this model is just pure aesthetic pleasure. The recliner has smooth manual control for tilting the back section and raising the footrest. It can also go almost fully flat, which makes it a great option even for side sleepers. Another thing that pleases me is that this wall-hugger sleeping recliner is easy to assemble. All four pieces are interlocking and do not require special tools. Now, chair maintenance is as easy as pie. This model comes with stain-resistant microfiber cover fabric in the neutral warm beige color — an excellent fit to any interior. It’s also very durable, so you can apply a universal cleaning detergent to it, and it’ll be fine. The worst thing about this chair is the footrest. A lot of customer reviews of this recliner mention — and I noticed it myself too — that after the tilting of the back section, the footrest will pop really fast and might jolt you (or your child, if they share a seat with you). But the great value for money is the strong side of this model. Hardwood frame and the stain-resistant fabric along with high-quality mechanism will last for years, so it’s definitely a good purchase. Overall, if you’re looking for a sturdy and comfortable reclining chair with modern design, this model has it all. You have found yourself asleep in your recliner at least once in your life. Is it okay to sleep in a recliner — that is, without a pillow and in a semi-sitting position? Some people think that a recliner is similar to a couch. And we all know that it’s hardly possible to get a sound and rejuvenating sleep on a couch. However, Harvard Medical School researchers claim that sleeping in a recliner doesn’t have any significant risks compared to lying flat in a traditional bed. Moreover, it can even be beneficial for people with certain conditions. And numerous sleeping recliner reviews on the Web are proving this. So, what are the main advantages of sleeping in a recliner? There are quite a lot of them, actually. Back and neck pain relief. Reclining chairs are great for relaxing a sore back after a long day at work or if you have some chronic pain issues. Their configuration allows supporting proper spine alignment, while the amount of padding compensates for pressure points. Some models can improve your condition even more with enhanced lumbar construction and massaging sections. Improved digestion. Reclined chairs can ease the acid reflux and heartburn in people who are suffering from these conditions. When fully reclined, they still create a slight angle and place the stomach below the esophagus, thus preventing gastric juices from escaping. Easier breathing. 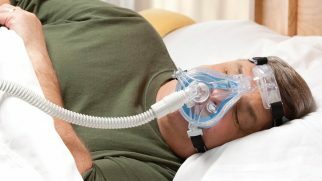 If you’re suffering from obstructive sleep apnea, a reclining chair will also help you breathe easier and will prevent the airway blockage. It’s like lying on a wedge-shaped pillow, but better. Circulatory support. Sitting or standing all day long affects our circulation. Gravity will pull more blood towards our calves, make them swell. Sitting in a recliner, on the other hand, will put your legs at the level of heart and will improve the circulation and reduce the pain. Nerves calming. Some studies prove that even a couple of hours in a reclining chair can calm your nervous system. Don’t forget about that when you’re struggling with some stress or chronic insomnia. Sleeping in a chair provides faster rehabilitation period with fewer side effects in people who are recovering from shoulder, elbow, or hip surgery. At the same time, recliners do have some downsides. However, they aren’t specific and are typically linked to the recliner’s general wear and tear. You may wake up with a sore back because the cushions are lumpy and won’t offer you proper support. Old chairs often are unable to recline correctly, which will put you in an awkward position and may squeeze soft tissues. Note that when sleeping in a reclining chair, you still need to switch positions as you do when sleeping in a normal bed. This will prevent you from stiff muscles after waking up. Buying a recliner isn’t that difficult, but it still requires some effort. Plainly speaking, you need to do some research and define your dream recliner. And these guidelines will help with that. Most of reclining chairs have one thing in common: their size. If you live in a large house, it’s not the case. But many people live in small apartments where every inch counts for comfort. when at the shop, do not hesitate to put a chair in a reclined position to see how big it is and find out how much space it requires to maneuver around it. 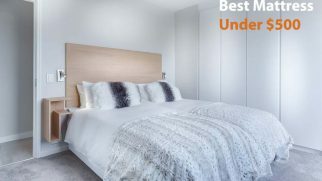 The interior of your room is another important thing to consider before shopping. Its overall style — whether it’s modern or classical — will significantly narrow your search. The type of a reclining chair is the first thing you should decide on. Rockers (or gliders). As the name implies, these models combine a good old rocking chair with a reclining option. Thanks to the rocking movements they make, they are perfect for those who have trouble falling or staying asleep. Wall-huggers. If you’re looking for small recliners for your bedroom, a wall-hugger might be the one you need. These models are usually more compact than other chairs. But their unique feature is a forward-gliding mechanism. That is, when reclining, such a chair moves forward, while other chairs stay in place and their only moving parts are the back and the footrest. Thanks to this moving mechanism wall-huggers can be conveniently set against the wall (hence the name). Lifts (risers). The main feature of these recliners is a built-in motor that not only reclines but also lifts the seat so that you could get up quickly. This feature will come in handy for the elderly and those who have limited mobility. 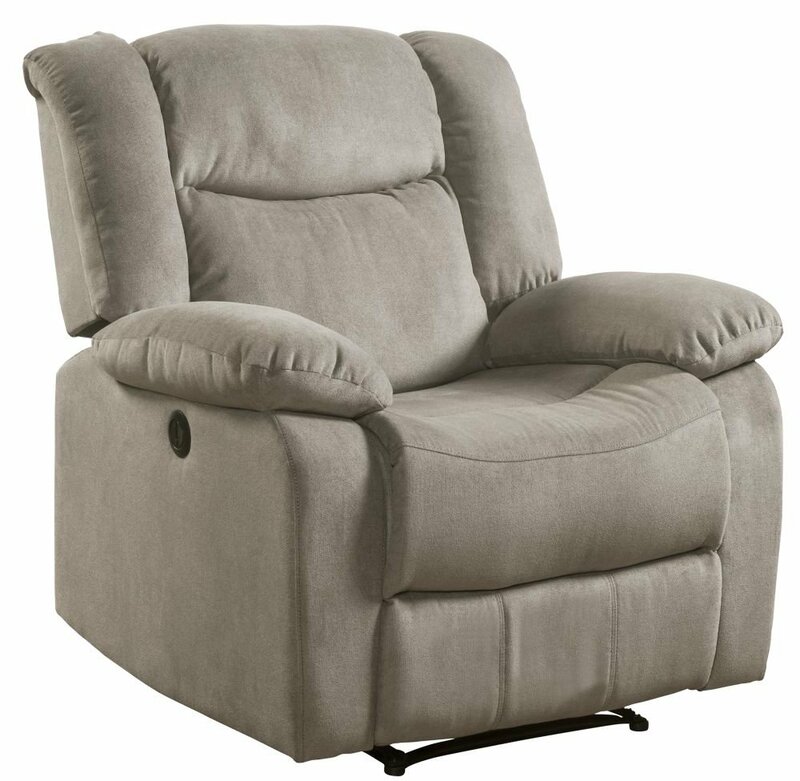 Any recliner type can also be equipped with a swiveling option giving you the ability to turn around without getting up. Sounds fun and convenient, isn’t it? Frame. It can be made either from plywood, hardwood, or steel. 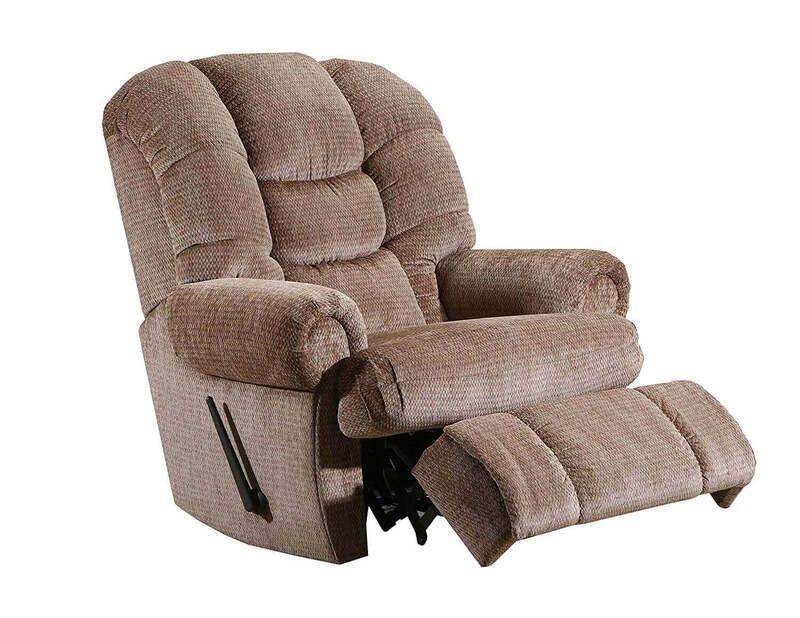 Most sleeping recliner reviews online mention that the more the material of the frame weighs, the sturdier and more long-lasting the recliner is. But you probably will have to spend a bit more money for that. Cover fabric. The right material will ease the maintenance process significantly. The wrong one will do the opposite. The best upholstery option for heavy use is natural or faux leather. However, synthetic fabrics, such as microfiber or eco-suede have good value for money and are easy to maintain. Weight capacity. If you’re a heavy sleeper, you probably don’t want to fall to the floor during your slumber. In order to avoid it, make sure you choose the reclining chair that will handle your body weight. 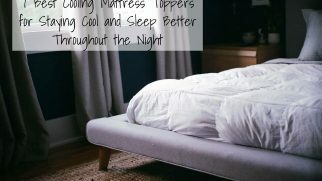 Now, these functions aren’t always necessary and certainly will add to the price but still are useful to those who want to enhance their sleeping experience. Heating. Some models will offer you leg or lumbar heating, which will make your rest more comfortable and rejuvenating. Massage. Vibrating segments of the chair — often accompanied by the heating option — will work best for those who suffer from stiff muscles and need more pronounced relaxing properties. Several reclining positions. The ability of the recliner to go into a horizontal position or allow you to elevate your legs above the head level will come in handy for people who suffer from certain health conditions. Some recliners may also have cup holders or side pockets, which will allow you to stay in a comfortable reclined position without the need to reach for a remote or your beverage. You can control your recliner chair either by pulling the lever or by plugging the cord in the socket and pushing the button. Both of these methods have their own pros and cons, and I listed them below for your convenience. they may have a built-in USB charger for your devices. frequent use may run up your electricity bills. they often have several reclining positions. levers are prone to jamming. Now you’re aware of all the important considerations and are fully equipped for shopping for a sleeping recliner. The proven way to ease your shopping is to know exactly what you’re looking for. I hope that the tips above will help you clarify the parameters of your perfect sleeping recliner. And I am ready to reveal two of my favorites among the models that I’ve tested for this review. First, I really like the Lane Home Furnishings Stallion recliner. It combines great size and ultimate comfort while being almost indistinguishable from a regular chair when reclined. Besides, it’s very supportive and comfortable even if you’re a heavy sleeper. 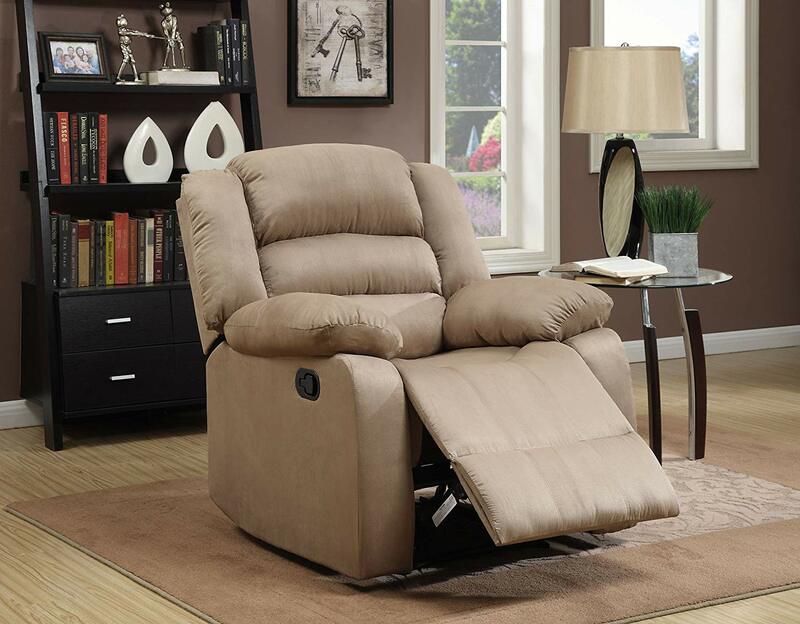 My second favorite is the Lifestyle power recliner by Simply Cool. I appreciate the smooth and lazy control it provides without making you strain when trying to reach the lever. Also, a built-in USB-charger is very handy. What about you? 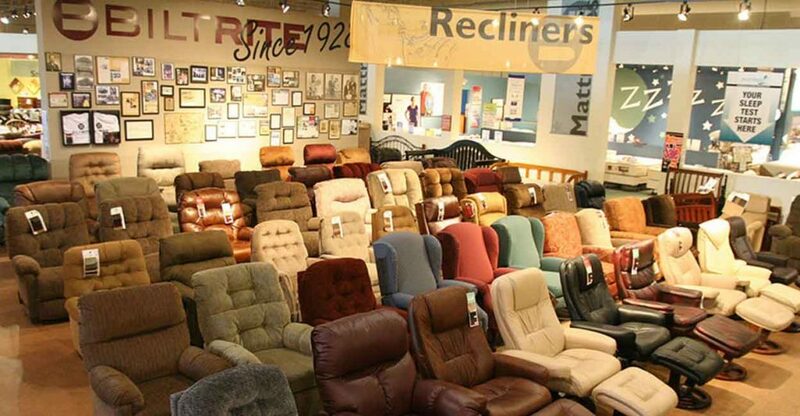 Which of these recliners looks the most appealing to you? You’re welcome to share your thoughts in the section below!